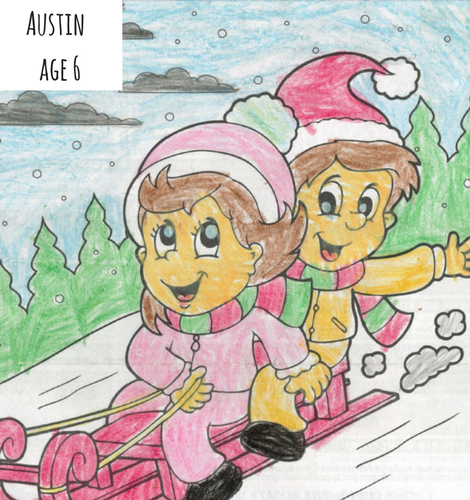 Congratulations to our January/February coloring contest winner, Austin age 6! Austin's amazing coloring entry took the cake for this months contest, landing him 50 Cain Keys on our Loyalty and Rewards program! Austin has a wide variety of prizes to choose from and can even earn more points to save up for something even bigger! Join him by heading over to Cain Club to start earning your points today! Thank you to all our Travis Country Times entries, we love getting so many incredible colorings. If you have yet to win, please keep submitting entries as we look forward to awarding you Cain Keys soon! Congratulations, Austin! Want to join Travis Country Times' Coloring Contest to get a chance to win some Cain Keys? Watch out for our upcoming March/April issue!